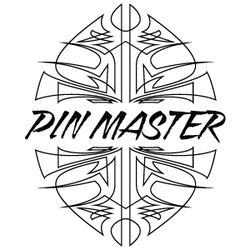 The Pin Master is a semi-gun for high performance surfing in hollow powerful waves. It is based on an original custom hand shape Robert made years ago that became one of Sean Hayes’ most favorite boards to ride at Pipeline. While excelling in Hawaii, the Pin Master has also seen time in Puerto Escondido barrels among others at surf destinations around the world. The Pin Master features an exaggerated rocker that helps control the board in large steep surf. The bottom contours start with a very light single and then go to shallow double concave with some vee off the tail. The nose is proportioned to provide ample paddling ability while keeping the outline sleek for high performance in big waves. 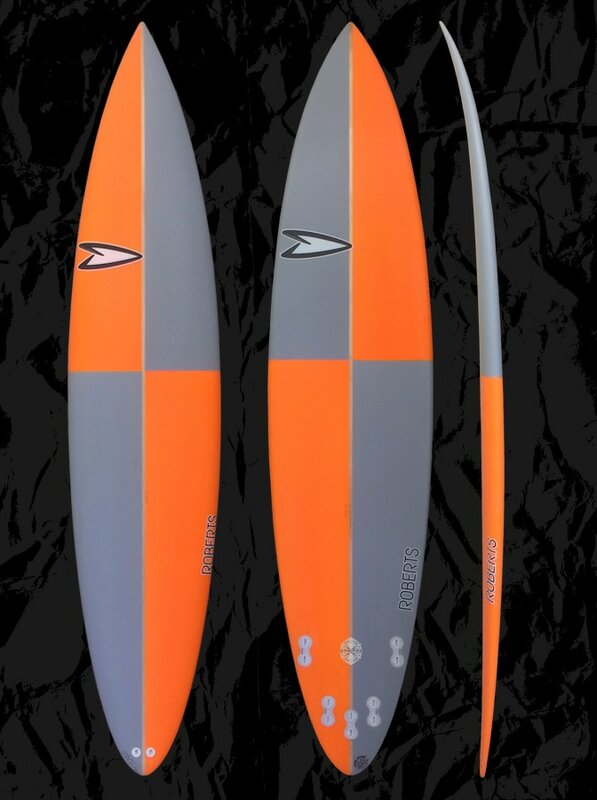 The Pin Master is a great board to have in your quiver if you’re heading out to places like Hawaii, Western Australia or anywhere else you might find heavy big beach breaks or reefs. Medium full and then tapered down for bite and hold. Big steep and/or hollow beach and reef breaks from several feet overhead to triple overhead. ​This model does not come in stock dimensions and is only available through custom order. One foot to two feet longer than your high performance board while keeping its width. Volume should be increased by 10-15%. Volume is added so that the stretched board will not be too thin preventing you paddling into the waves it was intended.